"I'd rather have an uncivilized world than an artificial one." Hola there! So this one is kinda different from my common posts. There is this thought that pass to me while watching this anime titled psycho pass, it's a good anime watch it. Anyway after watching it I just realized I have this thought that I think I wanted people to realize it too. What do you think? Meanwhile in this chaos of life in this improving world have you ever thought the price to pay in this civilized earth? Did it pop in your mind the cost of all these conveniency we have? And do you like what you see now? Sky scrapers are slowly rising, thousands of floors with piles of bodies underneath it’s walls. Fast cars are used now drivers in living are now in no use. Google, Internet and social media makes more knowledge in a second than those in teachers with their nose stuck in a book. Laptops, computers are now our assistant in almost everything we do, does that steal people chances to help others? And now the latest I’ve known robots those machines are now the sweepers, entertainers, assistant, companion , helpers and of course a decoy of ourselves what do you think would it get? Possibly lives, our lives that we just borrowed. With the increase of suicidal rate haven’t we thought that the feeling of useless and abandoned won’t turn the same thing? Things change and lives are stolen. Our world are now civilized, it is now high technology, all easy, fast and convenient but what’s the use of having that kind of world without people living in it? 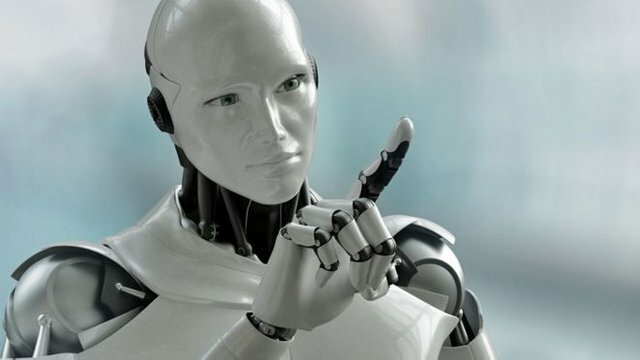 Would you be happy for robots to invade earth and be left to stay in our dying mother earth of course with a thought that they would kill her more. It is one of the greatest fear and thought that ever pass in my mind. If I ever be replaced with I would never wanted it to be a THING. A metals that are glued, those cords as their veins? Well no thanks. I rather have someone who has a real heart who can love and care. Our lives is worth more than those machines. Our hearts is better than those brains. Why would people even invents such a thing that can kill humanity? Would it done good? If you look at it in a deeper way would you really think those artificial human would help us? News flash those thing that you invented can replace us. I would rather live in a world where the people around me is as real as I am than living in a generation full of alloys and metals. I love my life way more than that. And I won’t waste my money for an artificial life.